An addition to the VS (Village Sign) series. The sign depicts the Christchurch Priory, which claims to be the longest parish church in England, with the length of its nave measuring over 311 feet. This is an offset multi based on questions at the sign. The final location is within a 300m walk of the sign. There is no parking next to the sign, as it is on a busy road. Cachers will have to find parking in the general area. In the 11th century, according to legend , St Catherines Hill was chosen for the site of a church. Each evening the builders would finish work but when they came back the next morning the building work was undone and the materials had moved to a new site. One day a beam was cut too short and a stranger miraculously lengthened it. 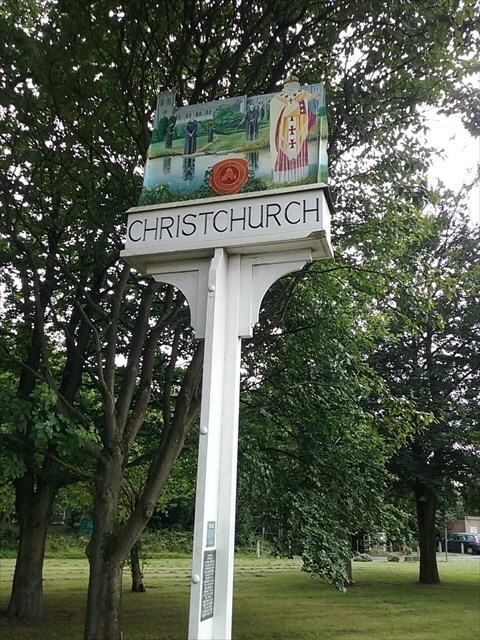 The builders decided the stranger must have been Jesus Christ, so they built the church (the Christchurch Priory) on the new site, and changed the name of the town to Christchurch. 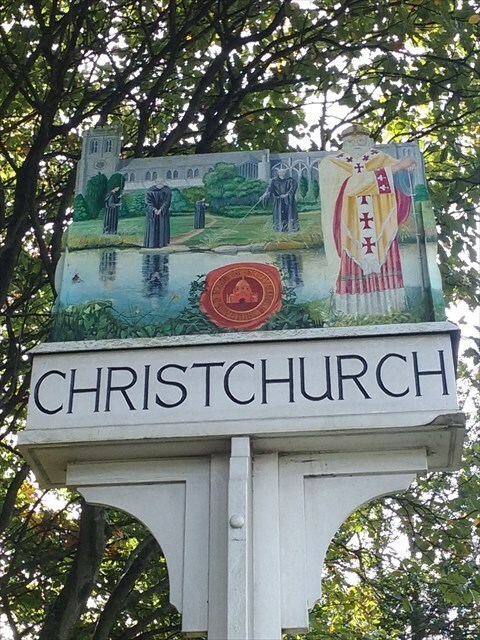 Christchurch appears in the Domesday book as a village with a population of around 170 people and a water mill to ground flour. According to the 2013 census, the population has now grown to 48,368. The sign was restored in 20AB.